Tens of thousands of dollars of drugs were seized from a Manchester, New Hampshire, apartment on Tuesday morning. 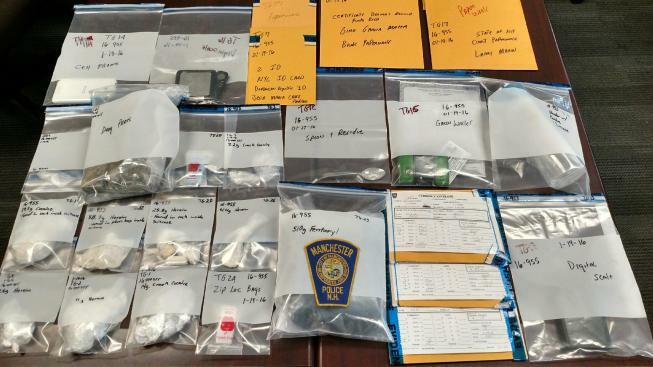 Three people were arrested and tens of thousands of dollars of cocaine, heroin and other drugs seized in an early-morning drug raid in Manchester, New Hampshire, on Tuesday. Manchester Police detectives and members of the Manchester Police SWAT team executed a search warrant at 287 Lake Avenue, 3rd floor, at 5:45 a.m. They located three people inside, all of whom attempted to flee before being apprehended. Orlando Correa Arroyo, 47, of 278 Lake Ave., is charged with resisting arrest/detention, two counts of heroin sales and one count of possession with intent to distribute Fentanyl. Samuel Eliezer Gonzalez Fabian, 46, of 287 Lake Ave., is charged with three counts of possession with intent to distribute Fentanyl, heroin and crack cocaine and resisting arrest/detention. Gino Garcia Matta, 40, also of 287 Lake Ave., is charged with heroin sales and resisting arrest/detention. Investigators seized 510 grams of Fentanyl, 40 grams of cocaine, 78 grams of heroin and 20.6 grams of crack cocaine that was found inside the apartment. The total street value is more than $35,000, police said.